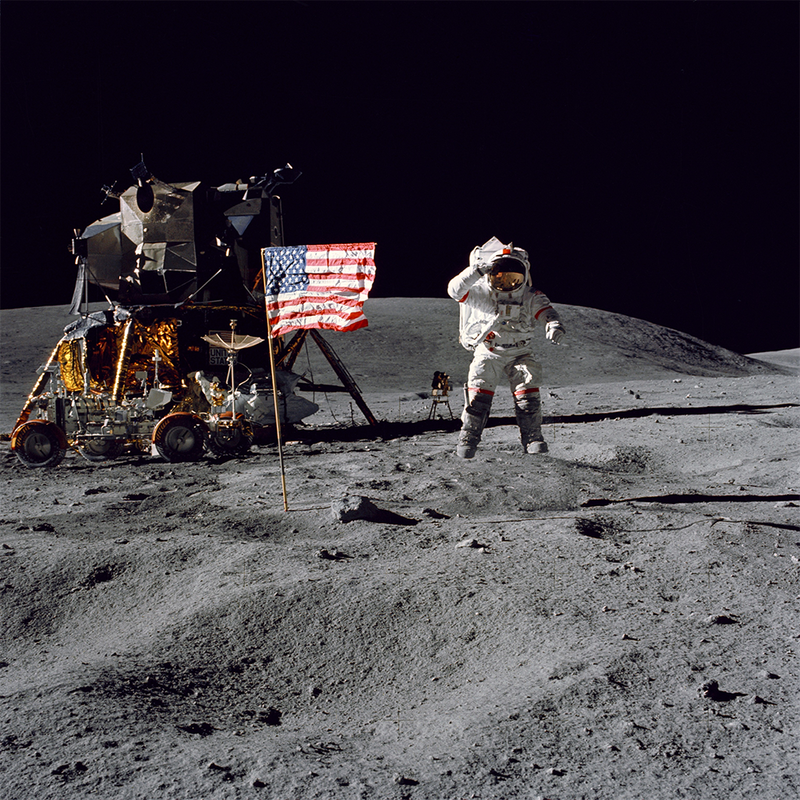 Buzz Aldrin stands with the American flag on the moon during the Apollo 11 mission. 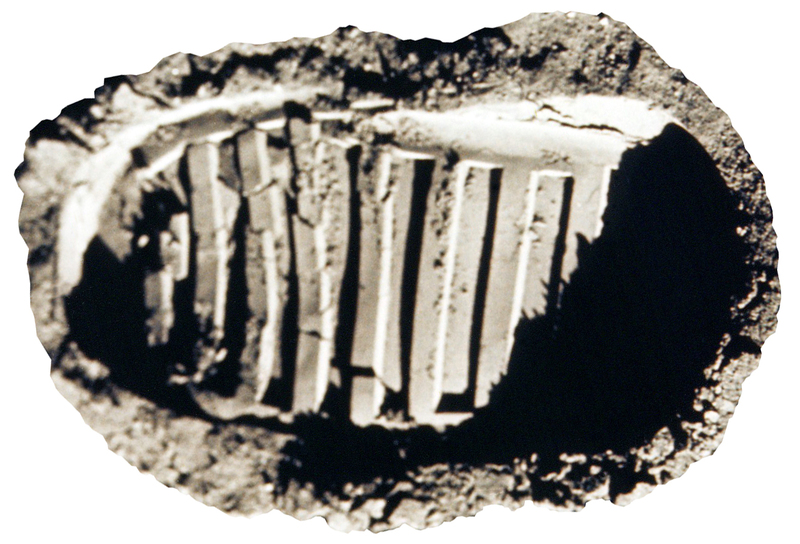 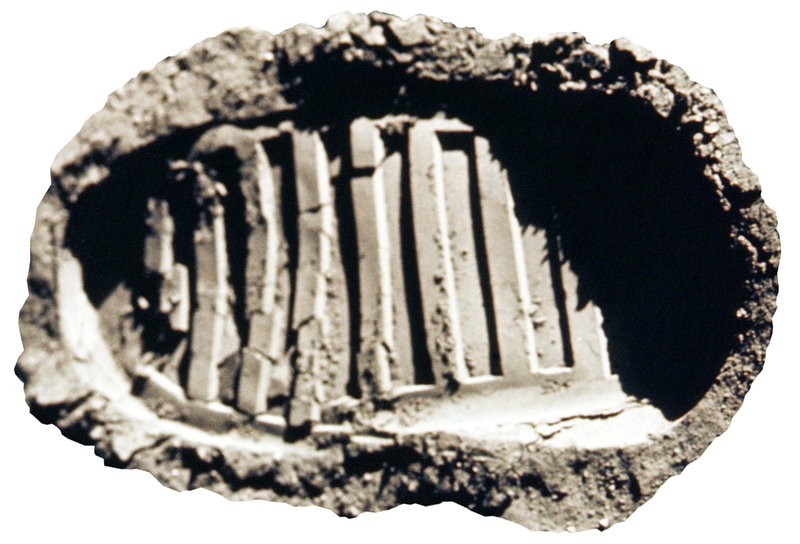 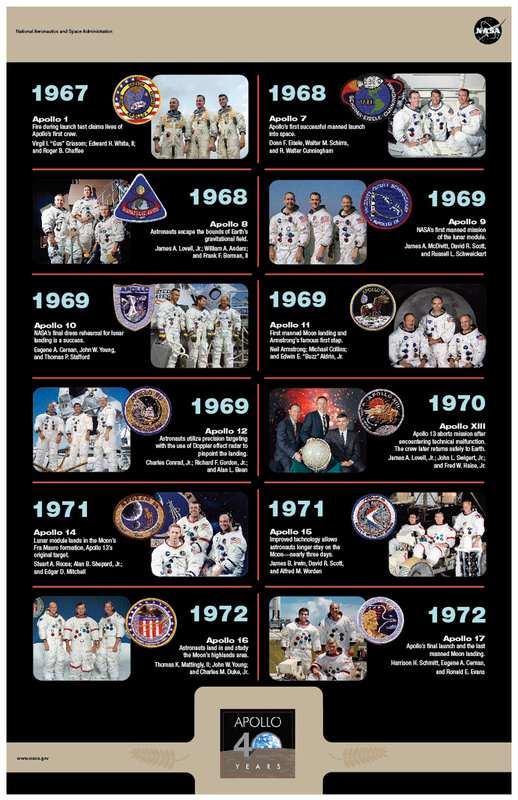 On July 20, 1969, the human race accomplished its single greatest technological achievement of all time when a man first set foot on another celestial body. 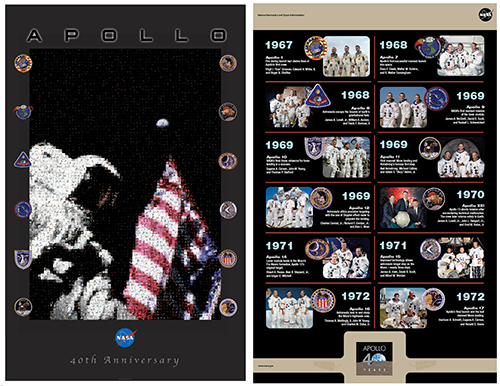 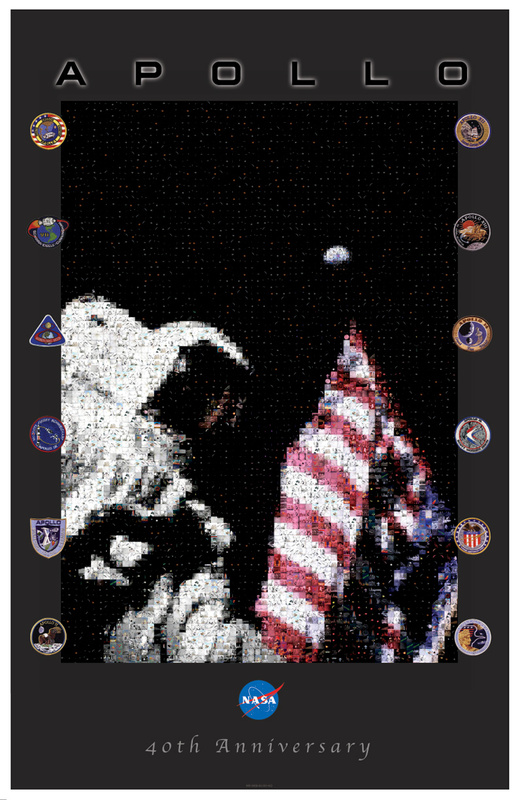 Anniversary Mosaic Poster - 11"x17"